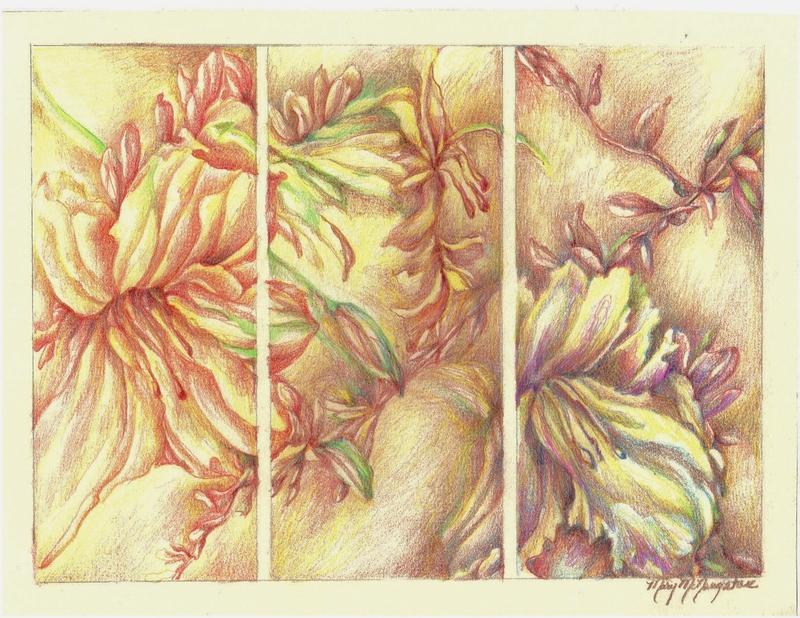 This is a colored pencil drawing divided into three portions. The hues move from the warmth of oranges and yellows on the left to cooler pigments of blues and purples on the right. The middle section allows us to see the gradual tint shifts. A piece such as this illustrates how color can be changed to accentuate the storyline. You are currently reading Color Transition at Dr. Mary McNaughton and Drawing.